Click on the links below to view the whole story and other news stories on Global Geothermal News. Philippines, by Cepi Budi Mansyur. Phinma Energy Corp. and Power Sector Assets and Liabilities Management Corp. (PSALM) have agreed to mutually terminate the administration agreement for the 40-megawatt strip of energy of the Unified Leyte Geothermal Power Plant. “The termination allows the company to improve its supply costs while maintaining a diversified portfolio. The company has settled all its obligations with PSALM,” Phinma Energy disclosed to the Philippine Stock Exchange Friday. The company said it would withdraw the case it filed earlier and drop further claims. Phinma Energy filed a complaint and sought a temporary restraining order against state-run PSALM with the Makati City Regional Trial Court in September for terminating its agreement and forfeiting on the company’s performance bond because of alleged default. The company filed the complaint against PSALM and its former President Emmanuel Ledesma Jr. The case sought to restrain PSALM from terminating the administration agreement for the selection and appointment of independent power producer administrators for the strips of energy of the Unified Leyte Geothermal Power Plants located in Tongonan, Leyte on grounds of administrator’s default. Drilling of a geothermal exploration well began Thursday on Green Island, with a plan to install a 200-kilowatt geothermal generator by the end of 2019 that will generate over 1 million kilowatt hours of energy annually. Taiwan Power Co. (Taipower) Section Chief Chen Yi-cheng (陳一成), who has been promoting the company's geothermal energy project, mapped out the timeline for the Green Island project during a recent interview. According to Chen, the drilling and assessment of the exploration well will be completed by next August, which will ascertain whether the well is viable. At that point, Taipower will begin setting up ground-level geothermal generators, which should be completed by the end of 2019. Taipower further noted that while the operational cost of generating one kilowatt hour of electricity by geothermal generators is NT$6 (US$0.202), the cost through diesel generators is more than twice as much -- at NT$14. Josh Nordquist and Ann Robertson-Tait. 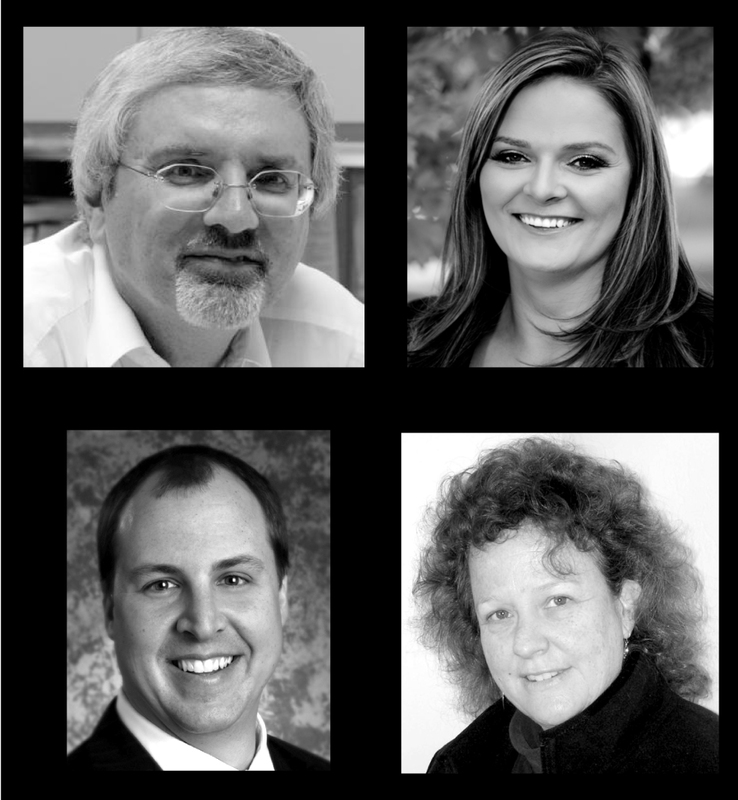 The global GRC membership took part in the ballot in November, and the result was that four new members of the Board were elected: Roland Horne, Jennifer Livermore, Josh Nordquist and Ann Robertson-Tait. They join nine other members who have been re-elected to the Board of Directors: Dave Boden, Marcelo DeCamargo, Kevin Kitz, Danielle Matthews-Seperas, Bill Rickard, Elaine Sison-Lebrilla, Gene Suemnicht, Kevin Wallace and Patrick Walsh. In early December the Utah FORGE project completed a two- and three-dimensional seismic surveys to further characterize the project area’s buried granite reservoir. Specifically, the survey may help to identify any buried faults that might be zones of fluid flow. Hendra Soetjipto Tan, Star Energy Geothermal Salak-Darajat (SEGS/SEGD) president director, talks to The Oil and Gas Year (TOGY) about the company’s ongoing developments and geothermal aspirations. Star Energy, operates in Indonesia’s energy sector as one of the largest geothermal companies in the world producing 875 MW of electricity. 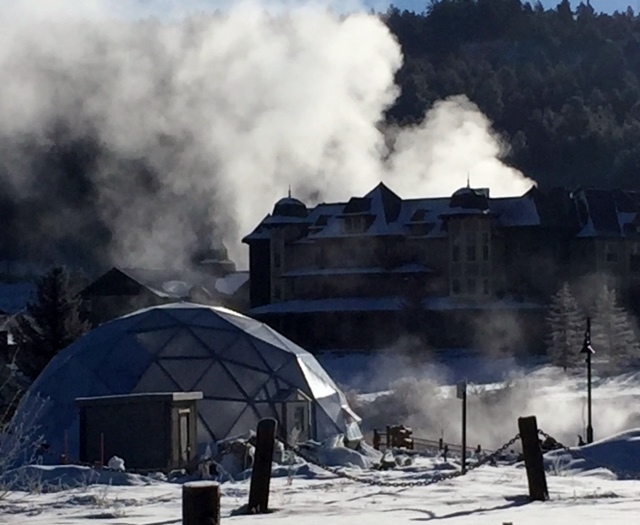 After about a year of gardening in a dome on the banks of the San Juan River in Pagosa Springs, the Geothermal Greenhouse Partnership plans to start construction on two more domes this spring. Residents began planning the growing spaces in 2008 and 2009 during the Great Recession as a way to revitalize the town’s historic downtown. The vision was to provide an educational and growing space for all ages and demonstrate geothermal energy, said Sally High, the president of the nonprofit’s board of directors. 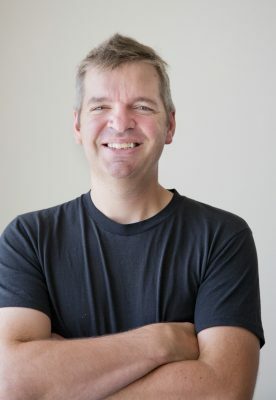 Fifth-grade science teacher Chris Couch has taught lessons in the dome and been impressed with the ability of the geothermal system to speed up growth and increase the variety of species that can be planted in the mountain town. “You could grow bananas there if you wanted to. It’s pretty incredible,” he said. The DoE has given industry participants until Jan. 3, 2018 to submit their filings. The Philippines Department of Energy (DoE) has solicited comment from the industry on a proposed circular that seeks to amend previous rules governing the transparent and competitive system of awarding renewable energy service contracts. “In the case of the exploration, development or utilization of biomass and geothermal resources, the applicant may either be a Filipino or foreign, natural or juridical, citizen,” according to the draft, which has a January 2018 target issuance date. The proposed department circular (DC) amends DC 2009-09-0011 or the guidelines governing a transparent and competitive system of awarding renewable energy or operating contracts. The old circular, which was issued on July 12, 2009, also provides for the registration process of renewable energy developers. The European Bank for Reconstruction and Development (EBRD) has said in response to growing demand for green energy it is providing an $85 million loan to the Industry Development Bank of Turkey (TSKB) to finance private mid-cap companies investing in renewable energy and resource efficiency projects in Turkey. In a statement on Dec. 27, the EBRD said that the financing would contribute toward a green economy by supporting solar, hydropower, wind, geothermal, waste-to-energy and energy efficiency projects as well as water-saving and waste minimization. Letter of intent is due by 5:00 PM Eastern on Monday, Jan. 8, 2018. 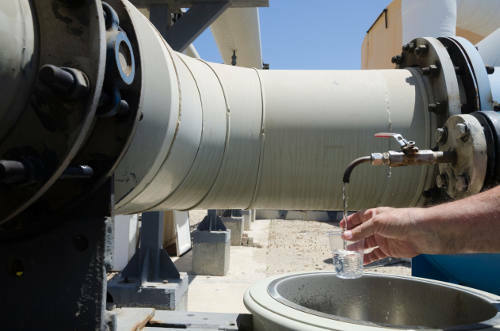 The Energy Department’s Geothermal Technologies Office seeks to partner with a small business to commercialize a novel desalination process - Forward Osmosis (FO) - driven by low-enthalpy geothermal heat. This Technology Transfer funding opportunity encourages small businesses to propose a Small Business Innovation Research (SBIR) and Small Business Technology Transfer (STTR) project that leverages this desalination technology that has been developed at the Idaho National Laboratory (INL). Researchers at INL have developed a process that harnesses natural osmotic forces to extract freshwater from wastewater in a forward osmosis (SPS FO) process. This award-winning INL technology could be utilized in applications where minimization of wastewater volumes or zero liquid discharge is important, and where the concentration of water sources containing economically valuable materials is targeted. While the target application for commercialization is flexible, the low grade heat must come from a geothermal source. A mandatory letter of intent is due by 5:00 PM Eastern on Monday, Jan. 8, 2018. More information on this opportunity can be found at https://science.energy.gov/sbir/funding-opportunities/ (Topic 11A of funding opportunity DE-FOA-0001771). The presentation will close with an open Q&A session. These quarterly updates will help GTO stay connected with the community and its concerns. Call-In # +1-415-527-5035 US Toll - Due to limited space we ask that you please utilize one link/line per location. The 30 MW Karaha Bodas geothermal power plant in West Java, Indonesia, around 80 km southeast of the West Java provincial capital, Bandung, has started generating electricity for the national grid. Nickel Asia Corporation, the country’s top nickel miner, is raising its stake in renewable energy subsidiary Emerging Power Inc. to 91 percent from 66 percent through the conversion of a P1.5 billion loan into equity. Last year, Nickel Asia infused P660 million in additional equity into EPI together with the extension of a P1.5 billion three-year term loan. 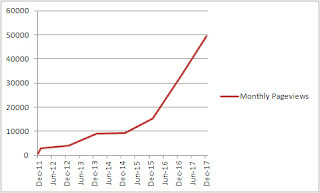 These funds, together with bank financing at the project company level, was meant to complete EPI projects of 105 Megawatt (MW) lined up for 2016. 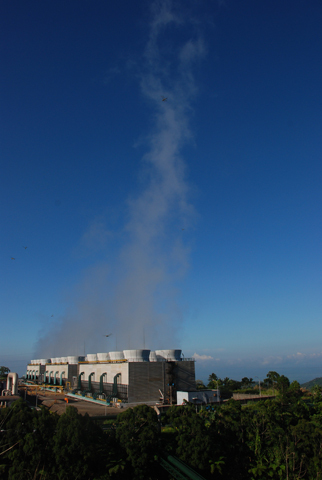 The funds were also used for the development of the first geothermal power plant with a capacity of 5 MW under its 60 percent-owned subsidiary, Biliran Geothermal, Inc. (BGI). The total project cost is estimated at about P800 million. 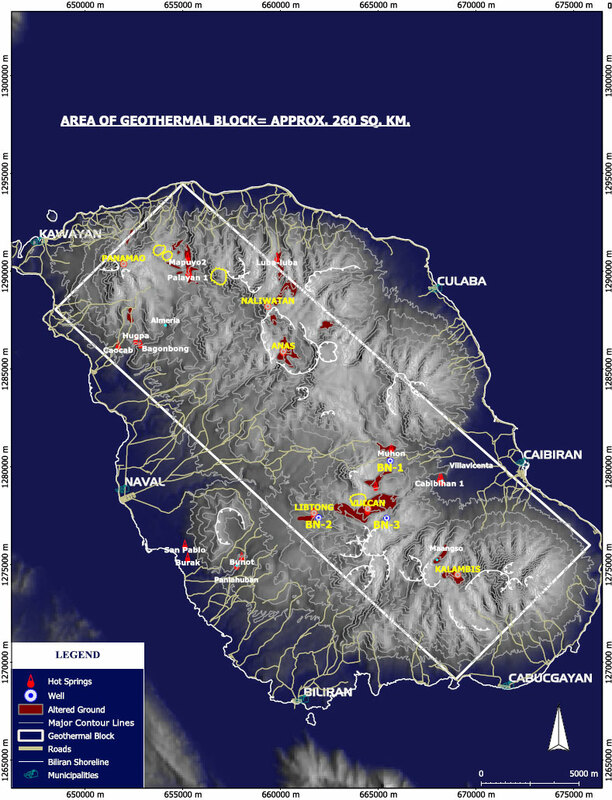 Seven holes have previously been drilled in the Biliran geothermal field by its 40% partner in BGI, all of which exhibit the required temperatures for the production of geothermal power. The development of additional plants and required infrastructure, as well as further drilling of this potentially large geothermal field, is currently under study. Monday, November 2, 2015 - Philippines: Nickel Asia Corp Confirms as Majority Equity Holder in Emerging Power, Inc. The way to go is geothermal energy. Šefčovič was “very encouraged by the very successful company GA Drilling looking for new, revolutionary modes of drilling in the very deep underground.” The company experiments with plasma. Canoe Reach is one of Borealis GeoPower's current major projects, located near the Village of Valemount, BC. California officials are years behind in preparing and carrying out plans to deal with the lake’s decline. But as the end-of-2017 deadline approached, Gov. Jerry Brown’s administration in March released a $383-million plan to build wetlands and control dust around the Salton Sea over the next 10 years. The Imperial Irrigation District (IID) owns large pieces of land and lakebed along the south shore of the Salton Sea, where one of the planet’s most powerful geothermal energy zones runs along the San Andreas Fault. The state’s plan contemplates the development of more geothermal power plants near the south shore. There are now 11 geothermal plants in the area, and the state’s plan requires that canals and ponds be built to ensure access to areas where new plants could be built. Negotiating easements that preserve rights for geothermal development along the south shore has taken longer than anticipated, said Bruce Wilcox, the state’s assistant secretary of Salton Sea policy. Swedish company Climeon has received an order for a geothermal power plant in California, the world's largest market for geothermal power. This is yet another proof of Climeons competitiveness in the renewable geothermal baseload power market which is a multi-billion-dollar market that has the potential to completely phase out fossil fuels. The customer, Wendel Energy Operations I in Susanville, Lassen County, in Northern California, has ordered four Climeon Heat Power systems with delivery in 2018. The power plant has a fifteen years offtake agreement with a local utility and provides vital baseload power to the community. Climeon has been instrumental in structuring the financing of the project. De provincie en gemeente Utrecht willen gebruik maken van aardwarmte om de warmtevoorziening in de stad te verduurzamen. Daarom dient de regio binnenkort een subsidieaanvraag in bij de Rijkdienst voor ondernemend Nederland. Utrecht wil daarmee een onderzoek starten naar de winning van aardwarmte, met een maximum van 3.000 meter diep. (From Google Translation) The province and municipality of Utrecht wants to use geothermal energy to make the heat supply in the city more sustainable. That is why the region will soon submit a subsidy application to the Netherlands Enterprise Agency. Utrecht wants to start an investigation into the extraction of geothermal heat from a maximum of 3,000 meters deep. Diego Morata, Ph.D. Director del “Centro de Excelencia en Geotermia de los Andes, CEGA” Departamento de Geología, Universidad de Chile. En el sector energético, el 2017 será recordado como el año de la geotermia en Chile. Esto, gracias a la inauguración de la primera planta geotérmica de Sudamérica en el norte, y el primer invernadero calefaccionado con calor de la Tierra en el sur. La central Cerro Pabellón, en la comuna de Ollague, a unos 4500 m de altura y unos 100 km de la ciudad de Calama inyecta 48 MW de energía limpia, sustentable y autóctona a la matriz energética. Es una cantidad de energía comparable a la que supone el consumo eléctrico de una ciudad del tamaño de Calama. (From Google Translation) In the energy sector, 2017 will be remembered as the year of geothermal energy in Chile. This, thanks to the inauguration of the first geothermal plant in South America in the north, and the first earth-heated greenhouse in the south. The Cerro Pabellón plant, in the town of Ollague, at an altitude of 4500 m and some 100 km from the city of Calama, injects 48 MW of clean, sustainable and indigenous energy into the energy grid. It is an amount of energy comparable to that of electricity consumption in a city the size of Calama. On Dec. 6th, the BC Ministry of Energy granted a permit extension to Borealis GeoPower. 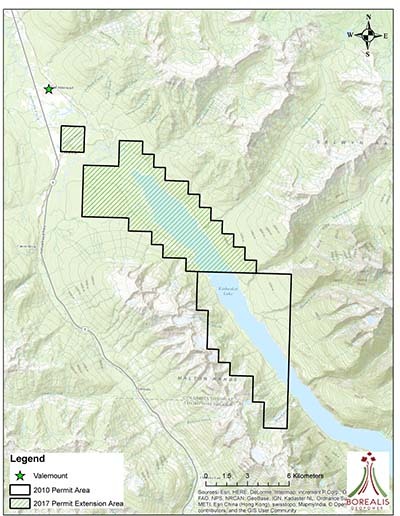 The company has held permits along Canoe Reach south of Valemount since 2010 and has been working towards a drill program for a geothermal energy plant. The next step for the Calgary-based company is to seek authorizations from the Oil and Gas Commission to start drilling. The next steps are getting road access permits and timber cutting permits (they are working with the Valemount Community Forest and timber will go to them). The construction of a 90 MW power station is the first step in the utilization of the geothermal area at Theistareykir (North Iceland), which has an enormous potential with an estimated capacity of up to 200 MW. 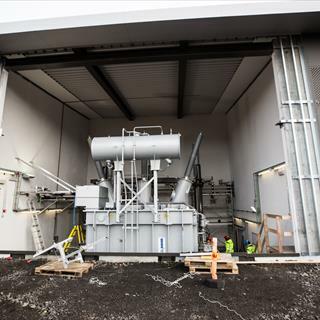 In January 2015, Landsvirkjun and Milan-based Tamini signed a contract for the purchase of No.4 Power Transformers with a rated power of 50 MVA and a primary voltage of 220 kV. The Tamini’s Transformers were delivered in May 2017 in the amazing landscape of Theistareykir and they have been successfully put in operation. Environmental considerations have been heavily emphasized during both construction and operation, due to the uniqueness of the area and in order to minimize the impacts. Planning and mapping has been made for the construction of a first ever geothermal power plant in Sri Lanka, says dean of the geology faculty at the University of Peradeniya Prof. Athula Senaratne. The mapping between Trincomalee and Pussangoda has been completed and a final report is due in April next year, he said, adding the construction could begin thereafter with the support of the private sector. Noting that geothermal energy generation is successfully taking place in the Philippines, Brazil, Argentina, Indonesia, Bhutan and China, Prof. Senaratne said this could be an ideal solution to the energy problems in the country. The work began as early as 1990 and the mapping by a team including the professor took place in 2008. After the end of the war, the related activities were conducted in the north, he said. 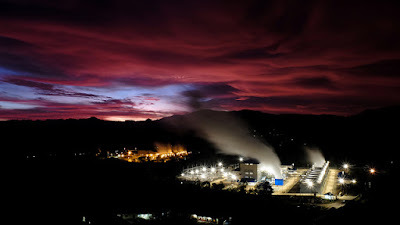 Biliran Geothermal, Inc. (BGI) has committed to hastening the construction of the geothermal power plant in the aftermath of the tropical storm that hit the island province in Eastern Visayas. Based on latest data from the Department of Energy (DoE), BGI is building a 50-MW geothermal power plant in Biliran with a project cost of $208.021 million. A source at the company said BGI is speeding up the forging of power supply agreements (PSA) to give it a ready market for its output, especially the first 10 MW. The PSAs will be the go-signal for the start of the power plant construction. The DoE data listed different expected commercial operation dates for six units of the project. The first two units, each at 5 MW, are targeted to be completed by September 2018 and March 2019, respectively. The rest are scheduled to be finished between July 2021 and July 2023. The mining unit was previously unveiled in September, with a goal of going live with it in the first quarter of 2018. GMO has pursued a number of cryptocurrency-related business lines in the past year, including an exchange platform it opened in the spring and a bitcoin-focused payroll service unveiled earlier this month. According to today's announcement, the new facility is based in northern Europe. And while the firm declined to name its exact location (probably Iceland), GMO indicated that the mine will draw electricity from geothermal and hydropower sources. As reported earlier, the mining facility will be equipped with a computing power at 500 petahashes per second (PH/s). Scientists are looking for new ways to desalinate water using energy resources that reduce dependence on dwindling fossil fuels. The Middle East relies heavily on fossil fuels to drive modern desalination technologies that are used to grow food. Currently only 1 percent of desalinated water comes from renewable resources. Intermittent or low energy supplies are a problem for agricultural settings, where grid networks may not always stretch. Better ways to capture and store renewable energy resources could increase the sustainability of using desalinated water, making it cheaper and easier to use. Of increasing interest in desalination is geothermal energy, which would provide a constant source of stable ‘base-load’ power for continuous, long-term periods. It could be used directly for membrane distillation, while thermal distillation like MED and MSF could be powered using the electricity it generates. To date there is no industrial scale geothermal desalination plant, but it is a mature technology that has been used for generating electricity in Italy, Iceland, China, New Zealand and beyond. “The world is producing about 14,000 MWe of electricity from hydrothermal power only, why not use it in desalination,” says Dornadula Chandrasekharam, geothermist and former chair of the Department of Earth Sciences at the Indian Institute of Technology in Mumbai, India. Now adjunct professor at King Saud University, Chandrasekharam has analysed the opportunities of tapping geothermal systems from Saudi Arabia. The hot springs and radiogenic granites in the west provide huge potential. Ormat Technologies Inc. today announced that the 24 MW Tungsten Mountain geothermal power plant located in Churchill County, Nevada, began commercial operation on December 1, 2017. Tungsten Mountain will sell its power under the 26-year Ormat Northern Nevada Geothermal Portfolio Power Purchase Agreement (PPA) with the Southern California Public Power Authority (SCPPA), which was announced in June 2017. SCPPA resells the entire output of the plant to the Los Angeles Department of Water and Power (LADWP). The power plant is expected to generate approximately $15 million in average annual revenue. New ETIP-DG website is online! Today is the 6th anniversary of one of the major sources for international geothermal energy news. It has also recently passed another major milestone. Since it's launch in December 2011, Global Geothermal News has now been viewed over 1,000,000 times. Just over half of the audience is from the United States, followed by Russia, France, Germany, Croatia, Canada, Ukraine, Indonesia, United Kingdom and the Philippines. 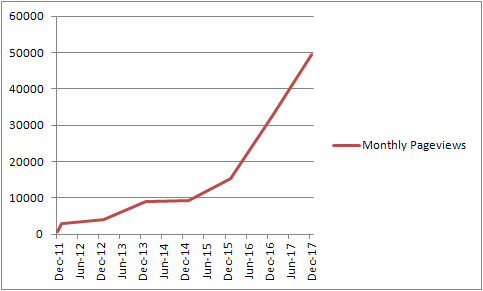 The growth over this time has been exponential as can be seen in the graph on the right. Global Geothermal News will continue to grow in the future. 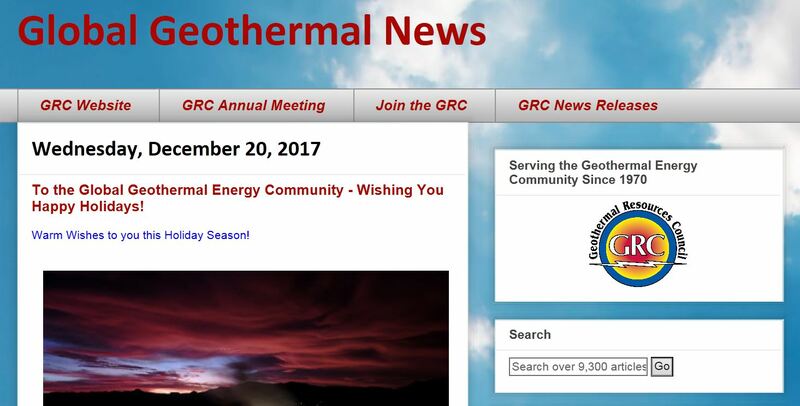 Over 9,300 news items have been posted in 6 years covering the geothermal energy community around the world. All of those articles are searchable from the search box available on the front page - a valuable tool. You can also sign up to get a daily digest of the news by providing your email address. An email message will appear on your desktop with the latest geothermal energy news at about 2 pm PST everyday there is news to share. To the Global Geothermal Energy Community - Wishing You Happy Holidays! We wanted to thank you for your blog post of December 12 on the “4 Signs of Progress on Climate Change” and your commitment on finding solutions to Climate Change. We read this piece with great interest, specifically on your commitment towards “especially promising but also underfunded” areas in clean energy investments, including Geothermal Power. We are extremely pleased to see this commitment towards Geothermal Energy and agree with your statement that it is ´a phenomenal amount of energy stored up as heat under the Earth's surface´. We are the International Geothermal Association, and the undersigned 31 people are together forming its Board of Directors. We represent countries, companies, research institutes, and universities. All with a passion for geothermal energy and a dedication to see the Geothermal Industry thrive. We love the efforts and the goal of Breakthrough Energy Ventures and the initial investment areas of focus. We share your view that heat stored near-surface in volcanic islands are the quick wins. We also take note that mature techniques, notably from the Petroleum Industry, help to unlock geothermal resources deeper in the subsurface. This is exactly why we are engaged and committed to bring geothermal further: the quick wins are done. We need to push harder, collaborate together, and work effectively towards connecting those unexploited geographic areas to their phenomenal energy source beneath their feet. We are keen to work with you and your Breakthrough Energy Ventures to make this happen. Kalina Power Limited has announced plans to develop geothermal projects in Oregon, USA, with Klamath Hills Geothermal LLC (KHG), a geothermal power company involved in the development of geothermal assets in the Klamath region over the past decade. KHG has an attractive pipeline of projects at various stages being targeted for development. The initial project being developed is a 10 MWe project located in Klamath County which has had over US$2 million spent on it to date. Kalina has been actively engaged with KHG on this project over the last 6 months. Kalina and KHG recently entered into a term sheet that provides for formal agreement to specify that all project interests held or developed by KHG will be developed exclusively in conjunction with Kalina using Kalina Cycle technology. The agreement provides terms under which Kalina can earn a majority interest in KHG through its participation and support in project development. The changes above represent major policy victories for CanGEA in 2017, as they are a direct result of CanGEA's federal government outreach efforts. Bill C-63 is accessible here. Corbetti Geothermal plc (Corbetti), the Government of the Federal Democratic Republic of Ethiopia (GoE) and Ethiopian Electric Power (EEP) today signed an implementation agreement (IA) and a power purchase agreement (PPA) for Corbetti, a pioneering geothermal power project planned to deliver up to 520 MW of baseload renewable power to Ethiopia’s national grid. Following extensive collaboration with GoE and EEP, the IA and PPA signings mark a major step in the development of privately developed and financed power in Ethiopia. Once ratified by parliament, the agreements signed today will enable Corbetti to commence drilling the first production wells next year. It also lays the foundations for subsequent geothermal projects. Leveraging work undertaken by Corbetti, the PPA and IA for Tulu Moye, another 500 MW geothermal project in Oromia, will be signed today. Collectively, Tulu Moye and Corbetti will transform the provision of clean, reliable power in Ethiopia and catalyse further investment in Ethiopia which is key for unlocking essential infrastructure needed to further boost the country’s economy. Dajin Resources Corp. has announced that following completion of a recent financing where it raised $1,281,150, thanks to the support of Dajin warrant holders, management is now moving forward with construction of roads and pads for drilling of their 100% owned Teels Marsh Lithium project in Mineral County, Nevada. Earlier exploration work by Dajin has shown the Teels Marsh valley to be highly prospective for Lithium brines, and Dajin now has the funds to move the project forward. Director and COO, Dr. Catherine Hickson PGeo and fellow Director, Dr. Mark Coolbaugh CPG, both GRC Members, were recently in Reno, Nevada meeting with contractors to prepare for the construction of roads and drill pads. 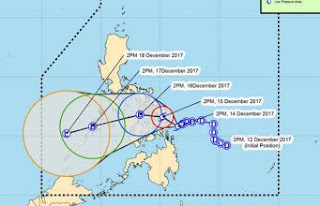 Energy Development Corp. has issued an advisory stating that operations of its Leyte Geothermal Power Plants have been affected by landslides and flooding brought by Typhoon Urduja. As of Dec. 18, the Leyte Power Plants were producing an aggregate of 246 MW, compared to 462 MW before the typhoon hit. An initial assessment showed that most of the damage was not to the power plants but to pipelines and the marshaling station. “We are working to restore the facilities at the soonest time possible, with priority consideration on safety. Moreover, we are extending assistance to our host communities. I’ve had an inside view of how the province has handled geothermal power development in Valemount and area during my term as mayor. It has been appalling. While a few are rejoicing the continuation of Site C hydroelectric project and many are mourning, the lack of support to get geothermal power moving stands as its own special boondoggle. The last provincial government’s bumbling of geothermal is tiring at best, and cynical and self serving at worst. Their actions have disempowered Valemount even as we are smoked out due to rising hydro rates. Don’t get me wrong, I am a realist, I will believe in geothermal power when I see it. But to see it, the province must get out of the way. Compared to Site C it will be a really small boondoggle at its very very worst and at it’s best utterly transformative. Mehmet Şişman, vice chairman of the Turkish Association of Geothermal Power Plant Investors (JESDER), said geothermal energy has risen to 1,053 megawatts installed capacity thanks to a law enacted by the Justice and Development Party (AK Party) government in 2007. At a meeting with a group of journalists, the JESDER chairman said that the geothermal energy industry has grown by 60 percent to 70 percent or more since 2007. "Our installed power in geothermal energy in 2007 was approximately 25 megawatts, but now we have reached 1,053 megawatts, and we will end the year with 1,086 megawatts," he said. Şişman said the support mechanism to be implemented in the geothermal industry after 2020 needs to be announced very soon. He also stressed that it is necessary to take precautions and deploy support mechanisms today in order to ensure that plant investments that will require at least three years to be installed continue so that they can be commissioned after 2020 as well. 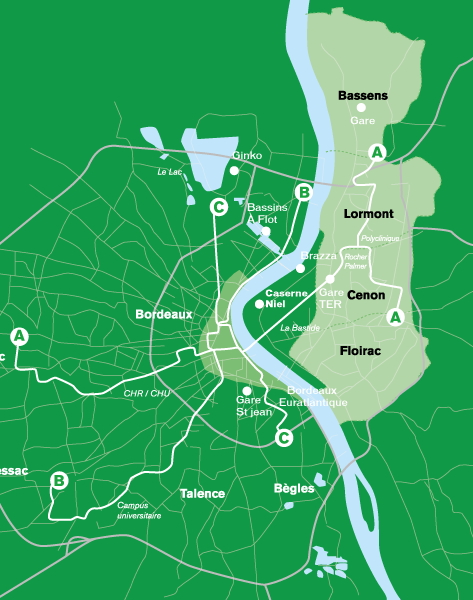 France’s Bordeaux municipality is to develop a district heating network powered by geothermal energy. To this end, Engie Cofely and energy storage firm Storengy have won a 30-year contract to develop the Plaine Rive Droite heat network on the right bank of the Garonne river. The city aims to meet 82 per cent of its heat demand with geothermal energy, with the remainder provided by natural gas. According to Engie Cofely, the geothermal plan is France’s first in 30 years outside the Paris region. Work is planned to begin as soon as all necessary permits are obtained, with drilling expected in early 2019. Idaho is rich in geothermal energy, a clean and reliable source with great long-term potential. The U.S. Department of Energy (DOE) estimates that the energy content of America’s geothermal resource is equivalent to a staggering 30,000-year supply. Of course all the natural heat under Earth’s surface can’t be reached, but DOE says geothermal has the potential to power to up to 100 million American homes. Geothermal is especially valuable because it provides baseload electricity more reliable than other renewables, like solar and wind. Ninety percent of the commercially viable geothermal resources exist on federal lands, mostly in western states. But because of regulatory hurdles, the resource hasn’t reached its potential. That’s why I have introduced H.R. 4568, the Enhancing Geothermal Production on Federal Lands Act, which passed the House Natural Resources Committee on a bipartisan voice vote this week. According to local reports Ethiopian Electric Power is going to sign contract agreements with independent power producers for the construction of geothermal power plants in Corbetti and Tulu Moye in Oromia Regional State. The agreement will be signed on December 19 at the Sheraton Addis. 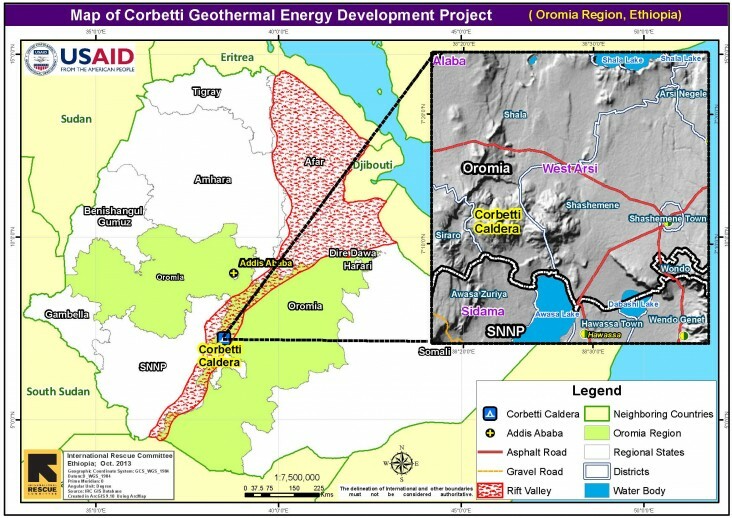 Ethiopian Electric Power will sign the contract agreements with Corbetti Geothermal which will develop a 500 MW geothermal power plant in Corbetti, East Arsi zone, near Shashemene town. The total cost of the project is estimated at two billion dollars. Ethiopian Electric Power will also sign the second agreement for the Tulu Moye geothermal power plant project on Tuesday with Reykjavik Geothermal (RG). RG is the first independent power producer company to sign a power purchasing agreement with the Ethiopian government. After reaching the 1 GW country club, the further development of the Turkish geothermal industry will be the focus for IGC 2018. The conference will move to the Sheraton hotel in Ankara to facilitate discussion with politics and financing institutions about the economy of geothermal projects and funding schemes. Again the World Bank will be the Co-host of the event. When Santa Rosa’s Thermochem had trouble obtaining a key financial guarantee to pay for equipment destined for Kenya a year ago, the geothermal testing company turned for help to officials with the U.S. Commerce Department. “We already had spent a lot of money,” Thermochem President Paul von Hirtz (also a GRC Member) recalled of the $360,000 contract. The company had agreed to ship equipment that measures the capacity of geothermal wells to generate electricity, similar to what occurs in Sonoma County at The Geysers steam fields. The buyer was Kenya’s main electrical generator, but the overseas company didn’t provide a letter of credit and for a time its staff stopped responding to requests about the delay. Thermochem contacted officials at the San Rafael office of the U.S. Commercial Service, a trade promotion arm of the Commerce Department. Those officials worked with counterparts at the U.S. Embassy in Nairobi to contact the company in Kenya and to help procure the letter of credit this spring. In 2016, the New Mexico (NM) Legislature caused a change in the geothermal statutes as well as in the regulatory agency administering geothermal resource development. The new agency is the NM Energy Conservation and Management Division (ECMD). ECMD has worked hard on preparing completely new geothermal regulations for the industry. A hearing is scheduled on January 3, 2018, at 9:15 a.m. in Santa Fe, New Mexico 87505. The person to contact for more information or comments is Daren Zigich. Please mail written comments to Daren Zigich, EMNRD, Energy Conservation and Management Division, 1220 South Saint Francis Drive, Santa Fe, New Mexico 87505 or submit them by e-mail to darenk.zigich@state.nm.us. Daren’s phone number is (505) 476-3323. Several of the Cyrq Energy (owners of the Dale Burgett Geothermal plant in New Mexico) team are familiar with the proposed regulations as well as the history, and are happy to talk if anyone would like more information. Michelle Henrie (505-440-4948), Monte Morrison, or David Janney would all be happy to talk further. Thanks to Cyrq Energy for the information. Currently, a completeness check, the identification of potential rejection grounds as well as the full evaluation are carried out. It is envisioned that all applicants shall receive feedback regarding their EoI in the end of February 2018. All applicants with successful EoI in AR 5 – including those who have already passed the EoI stage in the AR 1 to AR 4 but have to-date not managed to submit a successful RfA, will be invited to the mandatory pre-bidding workshop. The exact date and location still are to be announced. Invitation letters shall be sent accordingly.